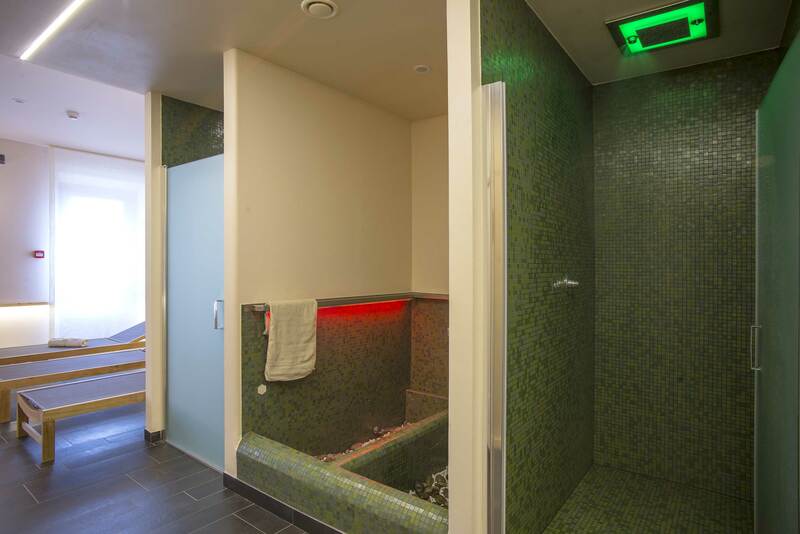 The cozy setting of the Wellness Center is ideal for enjoying a 360° experience of wellbeing, with vapors, waters, chromatic vibrations and a superb panoramic hydro-massage tub. Sessions are rounded out by a menu of massages and holistic treatments involving exclusive use of natural products of the highest quality, such as Höbe Pergh, based on hay from the Asiago plateau and alpine herbs. Exfoliation, masks, compresses and body and face massages: all these treatments are reformulated to suit personal needs and applied by expert hands while guests lie on special hay beds that absorb tension and release wellbeing. And of course a final break in the relaxation area, with mountain herb teas and essential oils and extracts. In the morning, guests can order chef Giacomo Gallina’s “Light breakfast” on the terrace. With fruit and vegetable extracts, emotion waters (mint, lemon, pomegranate) and a basket of bread (sourdough and wholemeal flours) and jams. Special “light” menus for lunch too, designed and made “to measure” by our chef in collaboration with a nutritionist. To reconcile the longing for something good with the requisites of wellness. 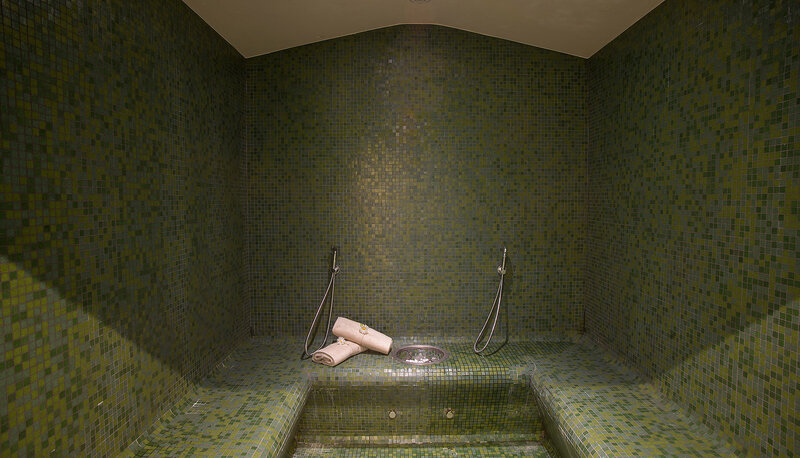 Immersed in vapors from the hot water, you’ll feel all muscular tension relax as you enjoy the panoramic view of the Po Valley plains and the alpine peaks. Installed on a terrace enclosed by large windows, the massive Norway spruce hydro-massage tub is the pride of the Wellness Center: an experience that engages body and mind, to enjoy alone, or with a partner or friends, in winter after a day on the snow but also in summer, since it stimulates blood circulation and produces a sensation of “lightness”. Practiced for centuries as a purification ritual, the combined action of hot water vapor and natural essences is beneficial for the entire organism. 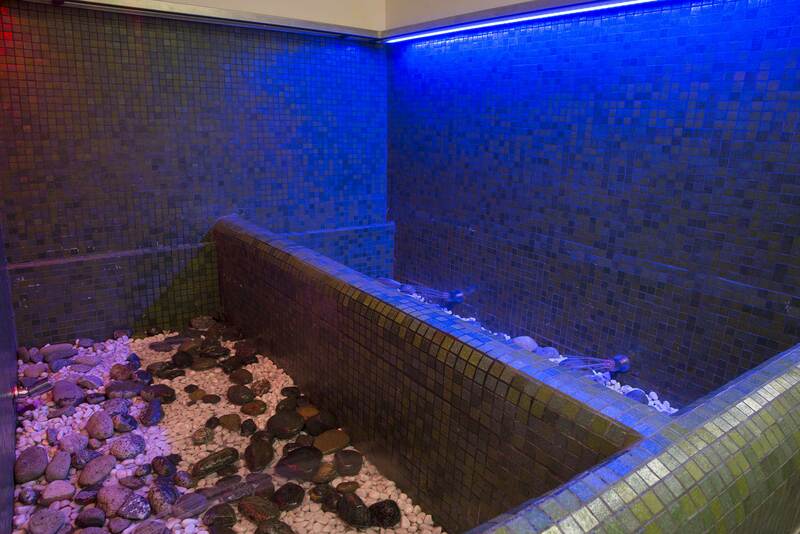 The aromas released by heat free up the respiratory tract, revitalize skin and hair and help relax tense muscles. Temperatures vary from 40° to 60° C with relative humidity from 90% to 100%. Another ancient ritual, this is the ideal way to obtain maximum relaxation and full detoxification. 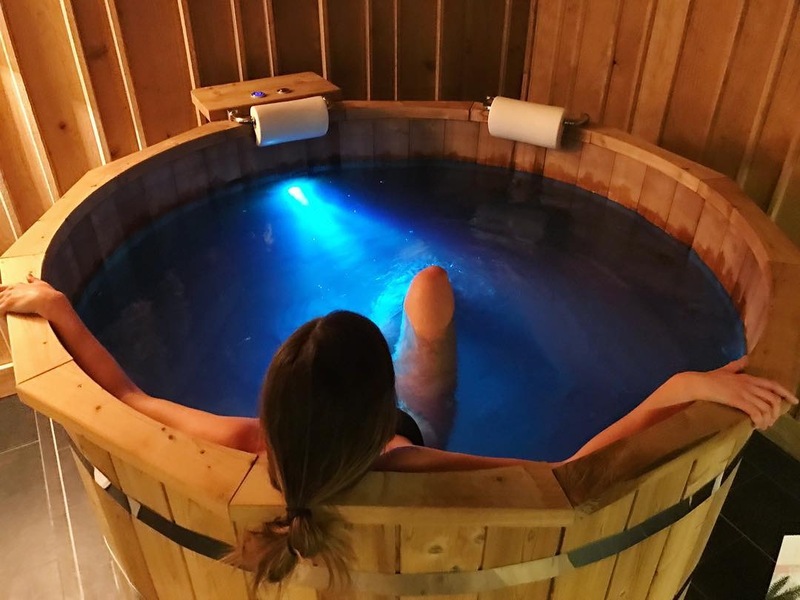 The intense heat (between 80° and 90° C) and the calibrated humidity of the classic pinewood sauna aid the breathing of the skin and the elimination of toxins, two effects that can be enhanced by scrubbing yourself. Alternating immersions in hot and cold water and walking on river stones that provide a natural plantar massage. Developed in Germany, the Kneipp course is a method based on hydrotherapy, the curative power of water, which brings multiple benefits: it stimulates the blood circulation and the immune system and tones up and invigorates the leg muscles and capillaries, while the “thermal shock” also has stimulating effects on the nervous system. Stimulating jets and plays of water, combined with chromatic vibrations and aromatic essences: the shower thus becomes a multisensory experience. Relaxing or energizing, depending on the combination of water jets with colors and fragrances, they combine the benefits of hydrotherapy with those of chromotherapy and aromatherapy. Complimentary Wellness Kit: bathrobe, towel, slippers, “wellness brush”. Open from Tuesday to Friday, 15.00 to 20.00; Saturday and Sunday, 10.00 to 20.00; closed on Monday.